It’s no secret that October is Breast Cancer Awareness Month. Here in the Pittsburgh area local groups have put together several walks to benefit breast cancer awareness and research, and local businesses have partnered with sports teams and nonprofits to do the same. At Genesis Medical, we support beneficial events such as these that can further research into the causes of – and cures for – breast cancer. 1) Women need to keep track of their personal risk factors. While some risk factors for breast cancer cannot be helped – such as ethnicity or age – all women can still take steps to track and address their personal risk of developing breast cancer. They can schedule regular mammograms starting at age 40 (or, if your doctor agrees, perhaps at the age of 50). Women should also always report a family history of breast cancer to their doctors (as your risk of breast cancer doubles if a sister, mother, or daughter on either your mother’s or father’s side of the family has been diagnosed with breast cancer). And of course, all women can make healthy lifestyle choices to reduce their chances of developing the disease – as weight, exercise, diet, and smoking history will all affect her risk. 3) We all need to remember that the earlier a patient is diagnosed, the better. 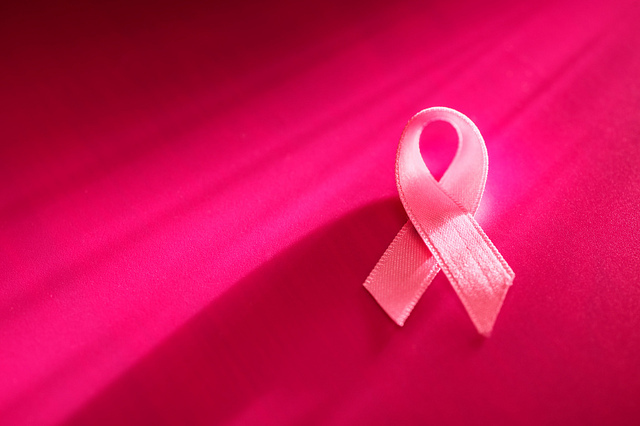 Breast cancer is the second leading cause of cancer deaths among women in the U.S. (behind lung cancer). This is not to say that breast cancer cannot be survived - but your chances of recovering are still heavily dependent on how early you receive a diagnosis. The sooner breast cancer is caught, the better. This is a big reason why doctors recommend annual mammograms – yet only 66.8% of women 40 years of age and over have had a mammogram within the past 2 years! Facts like these are important reminders that October is more than a time to support fundraisers. We all should also take steps this month – and in the months to come – to address our breast cancer risk. If you are due for a breast exam or mammogram, please do not hesitate any longer and schedule one today. And please, encourage the women in your life to do the same. Too many women avoid testing out of fear when early detection is what ultimately makes the most difference in terms of treatment options and the final outcome. So don’t put your care off another day – make this October the month that you take action for yourself!